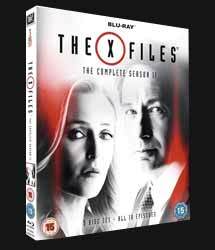 The X Files: The Complete Season 11 (2018. 10 eps x 50 min) continues the ongoing X Files story. I wonder if Chris Carter thought that twenty-five years on that the show would not only still be going, but also going strong. It has weathered the onetime loss of David Duchovny and now has to weather the loss of Gillian Anderson, who has publicly stated that she does not want to return for a possible season twelve. The show has always divided itself between the alien invasion arc and stand alone ‘monster of the week’ stories and season eleven is no different. The arc for this season is a treasure hunt for Mulder and Scully’s son, who was put up for adoption to hide him. The smoking man is back intent on using William, now known as Jackson Van De Kamp, to end all life on Earth. In his delusion he feels that this is the right thing to do as man has squandered his tenure of the planet, slowly killing it with greed and short-sightedness. He is not the only organisation after William. Another shadow organisation approaches Mulder, supposedly with benign desires to use William's powers to take mankind to the stars. All this against Scully’s visions of an apocalyptic future. Although she tries to leave her hospital bed, Scully proves to be too ill, leaving her vulnerable to an assassination attempt from the same group who had approached Mulder. Mulder saves Scully, but when Skinner arrives, he smells of smoke. The arc of whether any of the groups can reach William in time for their own reasons provide the backbone of the season, but like all other seasons the show indulges in pushing the boundaries of the format, as well as providing outstanding individual stories. While most of the stories are well executed the two stand out stories for me are episode four: The Lost Art of Forehead Sweat and episode five: Ghouli. Episode four carries on the X Files tradition of occasionally not taking itself too seriously. Mulder and Scully are approached by Reginald Murgatroid who tries to convince them that there is a multiverse and that, in another reality, it is Reg and Mulder who head up the X Files. The show is played for laughs, even showing Mulder having a wish fulfillment of meeting aliens, although it does not go as he thought it would. Ghouli starts off as a standalone but ends up adding to the show's mythology when two teens attack one another each believing the other to be a monster, meanwhile Scully suffers sleep paralysis. The season comes on a three-disc Blu-ray set supported with several extras. You get several audio options with an English, Spanish, French, German, Italian, Portuguese and Castellano 5.1 DTS-HD MA. You also have options for subtitles with a similar spread of languages. Green Production (5 min, 18 sec) looks at how the show tried to keep the production as environmentally friendly as possible. Episode six: Kitten, has a full audio commentary. Most of the extras are on the third disc, including another full-length commentary on the ultimate episode: My Struggle IV. Conversation on the Fox Lot (14 min, 31 sec) has a head to head conversation between David Duchovny and Gillian Anderson discussing their experiences on the show. It contains shots from the show as well as behind the scenes footage. The Scully Effect (16 min, 42 sec) discusses the effect of having a strong female lead in the show. The piece spends a lot of time discussing the lack of female voices in the industry. Solve For X: Constructing Season 11 (50 min, 11 sec) takes an in-depth look at how the show is constructed. Implanted Memories: 25 Years of the X Files (44 min, 57 sec) takes a historical look at the creation and progression of the show. Lastly you get a Gag Reel (5 min, 29 sec). Overall, this was a good season, better than some of the more recent entries in the X Files history. It probably will not convert new viewers, the mythology is too deep and complex for that, but it will please long-time fans.